Charles David Casanova,77, of West Chicago, Il passed away on November 30, 2018 after a brave battle with cancer. He was born November 20, 1941 in Norway, Michigan to Ernest and Gladys Casanova. He graduated from Norway High School, then went on to earn a Bachelor of Science in Applied Physics from Michigan Tech University in 1964. He worked in Columbus, Ohio for North American Aviation for 3 years. In 1967 he accepted a job from John Morrell and moved his family to Glendale Heights, Il. He worked for 1st National Bank for several years before becoming the Village Administrator for Glendale Heights. He returned to private industry in 1980 as a Program Analyst and Manager at S&S Computers. He went on to become the business owner of KarParts Auto Store. In 2001, he accepted a programming position for District 94 and retired in 2005. Dave enjoyed rehabbing houses, especially his two cottages in Wisconsin. 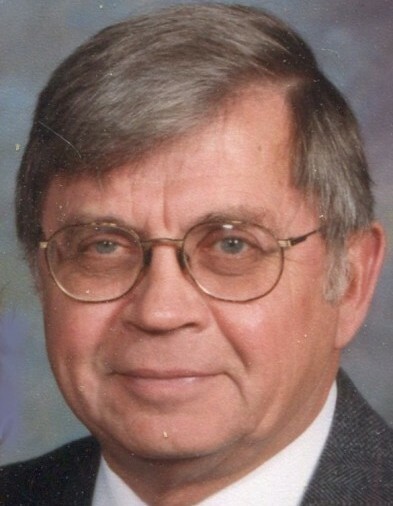 He never lost his enthusiasm for snowmobiling, boating and moped riding with his grandchildren and he loved his family above all else. He is the beloved husband of Sue Ann Casanova (nee DeRidder); loving father of the late Scott (Cynthia) Casanova, Nicole (Michael) Haley and Beth (John) Hunter; loving grandfather of Meghan (Jeff) Smylie, Josef Casanova, Allison (Gerardo) Serriteno, Brienna (Matthew) Kaufmann, and Tristan, Devon, Elijah and Logan Hunter; great-grandfather of Cora and Connor Smylie, Therese, Emily, Thomas(T.J.) and Elizabeth (Ellie) Serriteno; dear brother of Melvin (Betty) Casanova, Marion (Marvin) Pollard and the late James (late Maureen) Casanova; also survived by many nieces, nephews, relatives and friends. Visitation will be held on Thursday, December 6, 2018 from 4 to 8 p.m. at Norris-Segert Funeral Home & Cremation Services, 132 Fremont St. (one block north of Washington St. and Main), West Chicago. Prayers will be on Friday, December 7, 2018 at 9:00 a.m. at the funeral home and proceed to St. Mary’s Church, 164 N. Oakwood Ave., West Chicago where Mass will be held at 9:30 am. Interment to follow at Assumption Cemetery. In lieu of flowers contributions in Dave’s memory may be made to St. Jude Children’s Hospital, 501 St. Jude Place, Memphis TN 38105. For Info (630) 231-0060 or www.norrissegertfh.com.